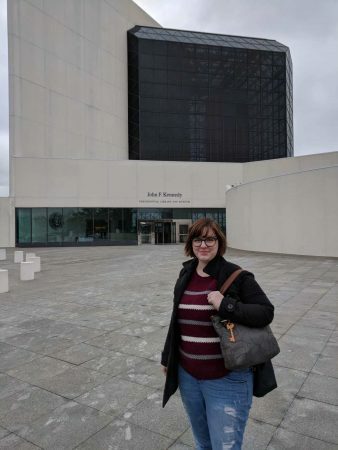 Alison Hyler ’18 used her spring break to visit Boston, Massachusetts and research one of history’s most famous authors in the archives of the John F. Kennedy Presidential Library and Museum. An English literature major and aspiring English teacher, Hyler is writing a paper that details her pedagogy plan, which explains how she would teach students to dive into and closely examine historic literary works. One of those is Ernest Hemingway’s Hills Like White Elephants, which was one of the texts she examined at the JFK Presidential Library and Museum. Hyler received a RISE grant from Randolph, which helped cover travel expenses.